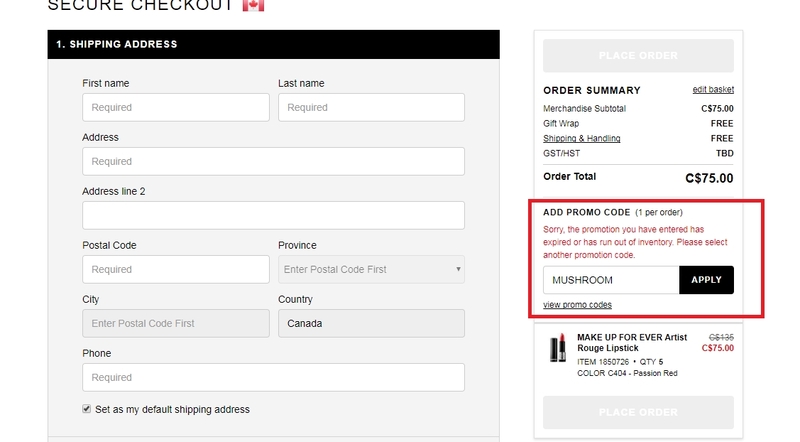 Justine Clark Promo code invalidated, it has expired already. 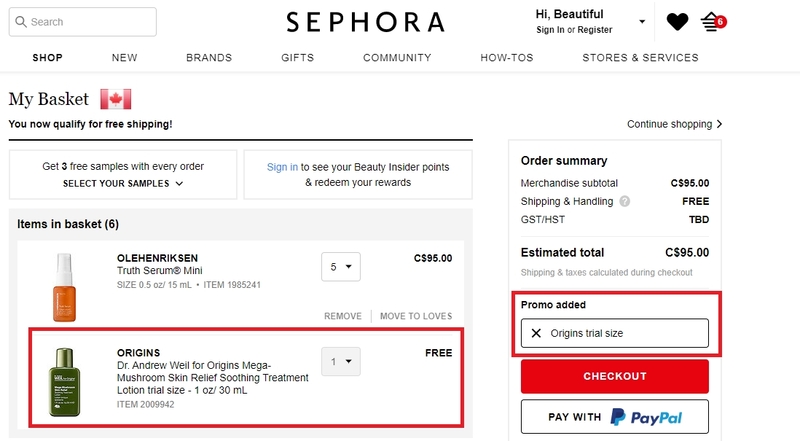 Amy Lon This deal did not work.My order was over C$25 at Sephora Canada and when I entered the coupon code MUSHROOM it stated that " The promotion you have entered has expired or has run out of inventory. 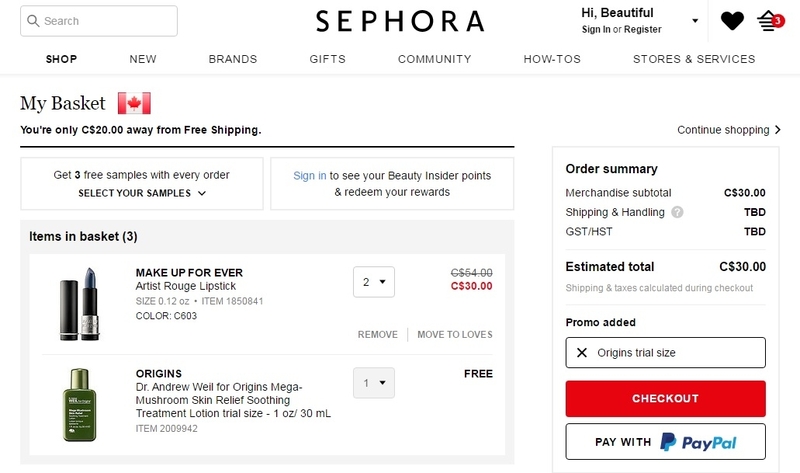 Please select another promotion code." Alexander I am validating this deal work as decribed, in your bascket apply in "Promo added" the code MUSHROOM to get yout free gift.